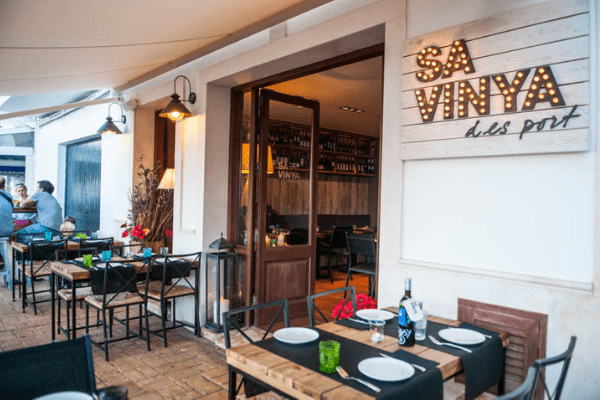 This winery located just off the beaten track is certainly one to visit; not only do they offer very insightful guided wine tours, but they also have an amazing restaurant and wine bar that’s not to be missed. 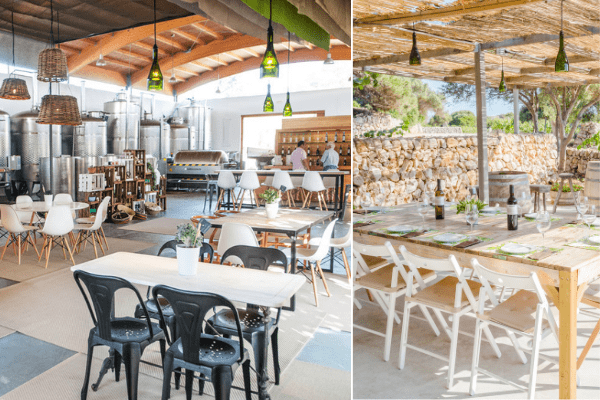 The restaurant serves Menorcan cuisine with an innovative twist which is beautifully paired with their homemade wines picked from their vineyard. Whether it’s just for a light snack or a full 3-course meal, the menu has options for all tastes and appetites. It is also set in a very picturesque location- the rural surroundings offer a very peaceful and enjoyable experience. We highly recommend booking a table in advance to avoid disappointment! Set in a beautiful traditional farmhouse in the quiet village of Torret, Pan y Vino is owned by a lovely couple who make you feel the most welcome. The food is the true passion here, it is based around fresh seasonal produce and the principal foundation of contemporary French cuisine combined with Mediterranean cuisine and influences from other areas. The diverse selection of special menus and an extensive yet impressive wine selection is packed full of fantastic choices making it difficult to choose from! We highly advise booking in advance for this restaurant. We interviewed the owners of Pan y Vino. 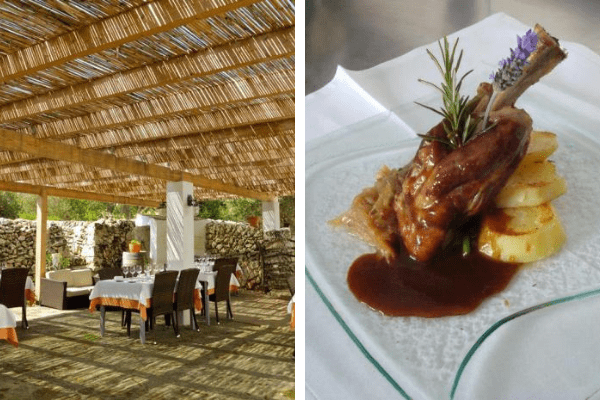 A hidden gem next to the pretty inlet of Cala Torret is this delicious dining experience. 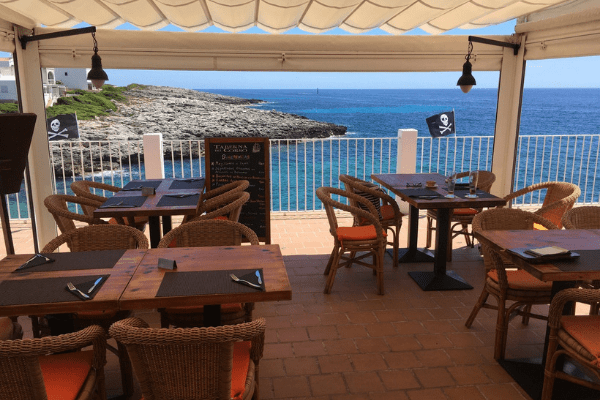 With excellent views of the sea, this charming restaurant offers simple, yet authentic Spanish tapas accompanied by a daily fresh fish and meat menu that day. A small set up, run by David, this restaurant has seating for only about 20 people. The cosy atmosphere complements the attentive staff and their service. You’ll want to keep coming back! Tip to find the place, look out for the pirate flag! If you’re craving something different, we highly recommend Villa Madrid. Set in the small village of S'Ullastrar and nestled in an English red colonial villa, Villa Madrid’s menu keeps with flavours of the Tuscany region. 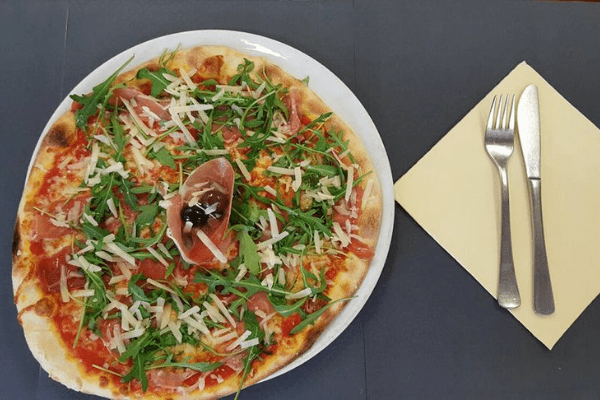 Their specialities include delicious wood oven baked pizzas and homemade pasta; we highly recommend trying the pirate pizza. Book in advance is recommended especially in high season. Restaurant Trebol is located by the sea in the quiet and pretty harbour of Cales Fonts. Set in what used to be a cave to now a nicely decorated restaurant offering a warm and welcome atmosphere with lovely seating outside. If you are looking for delicious seafood, look no further as we can guarantee you’ll find it in this restaurant. We also have to mention their great selection of delicious wine! 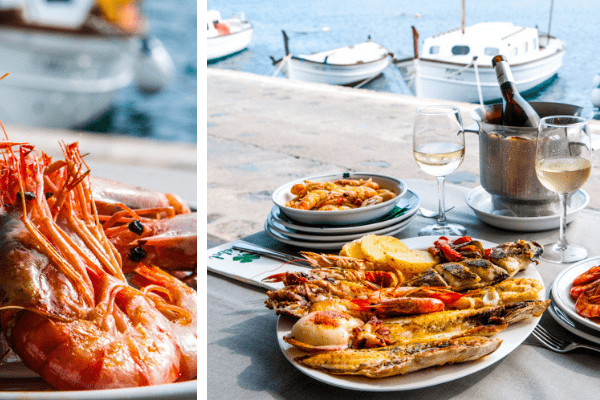 In the village of Ses Salinas, just one kilometre from the famous fishing village of Fornells, Ca Na Marga Restaurant offers you a traditional Mediterranean style barbecue in a warm and homely atmosphere. 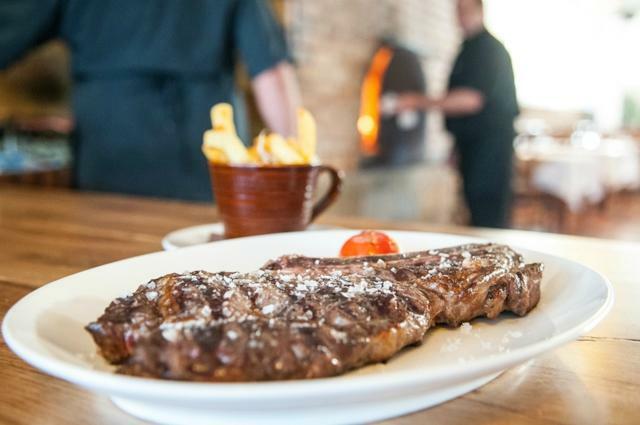 Their generous portions offer great value for money and they definitely know how to cook a steak; just a tip - if you like your steaks cooked well-done then make sure you let the waiters know as they are quite accustomed to cooking steaks medium rare-medium. If you've still got the room for dessert, we highly recommend trying them- they are to die for! Sa Vinya des Port is one of our Directors favourites. Set amongst the bustling port this restaurant is great for foodies and wine lovers. With stunning sea views, enjoy a sharing platter with delicious wine and soak up the buzzing atmosphere. We highly recommend trying their burrata with basil and tomato and their tacos of Carpier smoked salmon. We recommend booking especially in the summer. 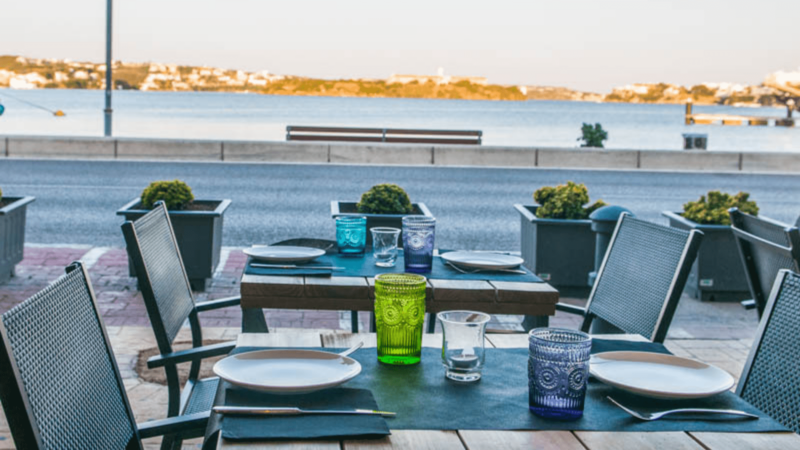 If you're a foodie and would love to experience Menorca's gastronomical offerings then why not accompany it with a villa holiday? Get in touch using our enquiry form and we'll be in touch with some villa suggestions!